Tonight as hosts France are taking on Portugal at the finals of Euro 2016, Portuguese communities across the Midlands are preparing to watch the game. It has been revealed the Wales skipper almost quit the game when he was released by West Bromwich Albion early on in his career. Birmingham Airport have promised to rip up Dean Saunders' parking fine if Wales win Euro 2016. 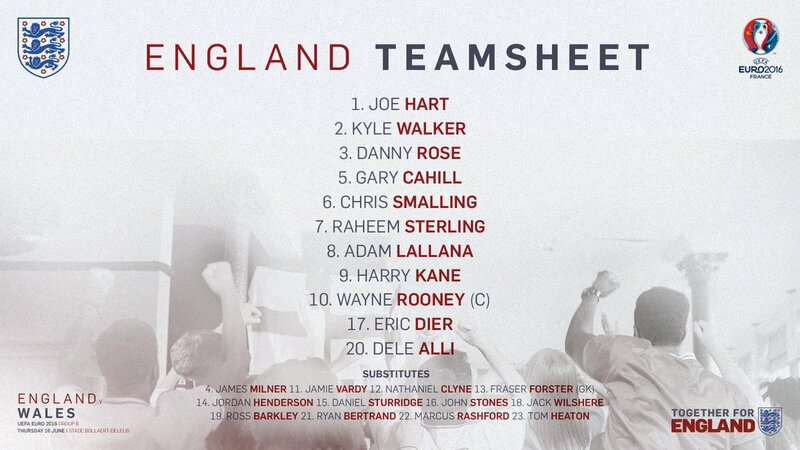 England manager Roy Hodgson has named an unchanged line up for today's Euro 2016 Group B game with Wales. Meaning once again Leicester striker Jamie Vardy is named as a substitute. Nottinghamshire police have confirmed that man from the Worksop area has been arrested in France in relation to football related disorder. A Birmingham man has been jailed and banned from France after throwing bottles during England's Euro 2016 opener. Ashley Kelly, 26, is amongst the first England supporters to be prosecuted after violence in Marseille over the weekend. The construction worker was jailed for three months and prevented from travelling to France for two years. It's after the single father was found to have thrown seven bottles during disorder at the Stade Velodrome. Home Secretary Theresa May said England fans involved in the "indefensible"violence in Marseille have let their country down. UEFA branded the behaviour of both England and Russia fans before and after the game "unacceptable" and said it would not hesitate to impose additional sanctions. The wife of England striker Jamie Vardy said she feared for her life after being caught up in violence in Marseille on Saturday. Stuart Pearce swaps football for shopping! The former Nottingham Forest player and manager, Stuart Pearce, has landed his first backroom job as 'Director of Footall' for the Euros. Pablo the penguin at Birmingham’s Sea Life Centre have been Antarctic-ulating their views on the tournament, which starts tomorrow.